Product code: ES6175 Categories: Sold Items, Sold Jewellery. Early Australian antique jewellery is becoming so sought after and here is a magnificent antique brooch that dates from the 1870’s. 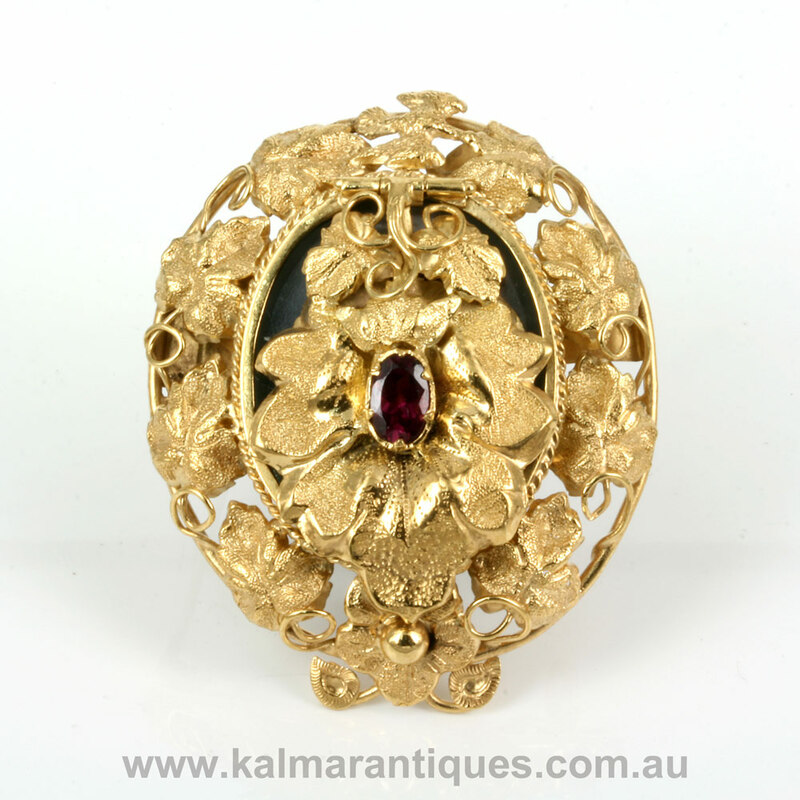 With a design that is so typically found in early Australian jewellery, this brooch was made in 15ct yellow gold and features a hinged top set with a garnet to reveal the photo underneath. 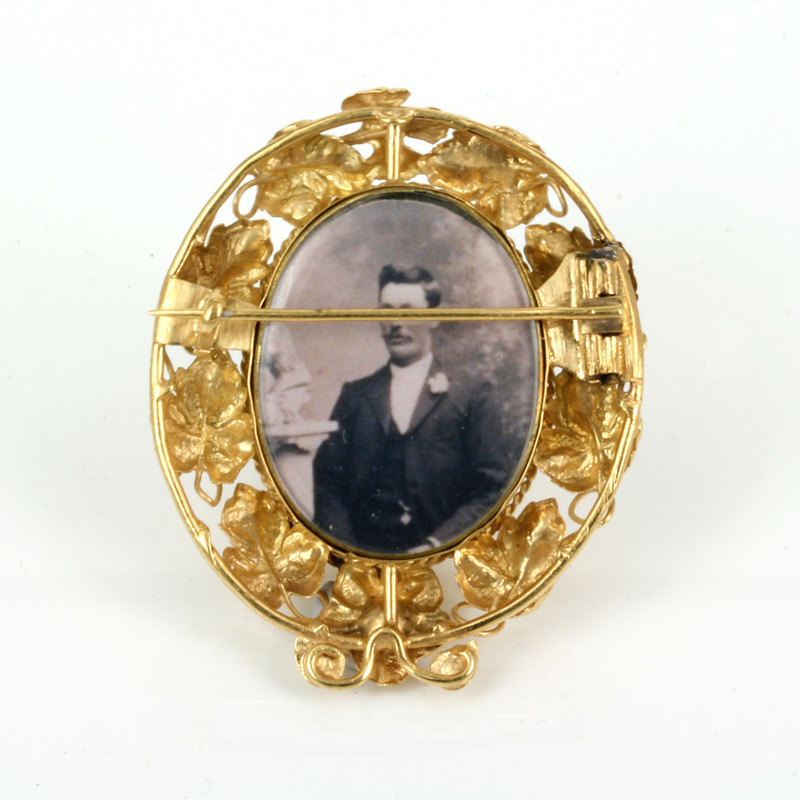 And then turning the brooch over reveals yet another photo on the reverse side to make it even more special and personal. Measuring 44.8mm by 36.8mm this antique brooch will sit so proudly on any outfit and always be admired and appreciated for its beauty.